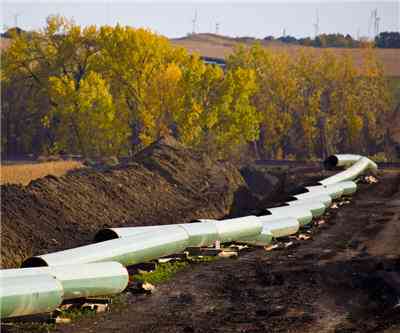 Nebraska legislators have voted unanimously to reroute the Keystone XL pipeline away from an ecologically sensitive region and the governor has signed new bills into law. The legislation is to pay for new environmental studies on the exact route the rerouted pipeline will take. The state and the proponent of the project, Canadian company TransCanada Corp. (TSE:TRP), agreed earlier this month to reroute the $7 billion project away from the Ogallala aquifer, a sprawling water table that provides water to cities and for irrigating farms. The new path would involve about 50 kilometres of pipeline. The company had long resisted changing the route, having already spent some $1.4 billion securing right of ways and stockpiling material for the project, which would deliver 700,000 barrels of crude oil a day from the Alberta oilsands to Texas refineries. A decision on whether to approve the pipeline had been expected by the end of this year, but the Obama Administration earlier this month delayed a decision for 18 months pending the outcome of the 2012 presidential election. The delay is widely assumed to stem from concerns that an approval could split the Administation's liberal base which may be needed to win Obama a second term in office. It is unclear how the Nebraska reroute will affect the timing of the project. TransCanada maintains that a new environmental review might take no more than nine months, though State Department spokesman Mark Toner has said the administration still expects a final ruling on the pipeline would not come before 2013, the Globe and Mail reported. TransCanada stock was down .89% today on the Toronto exchange.